Recordings of the new Djabe studio album – featuring Tamás Barabás (bass guitar), János Nagy (keyboards), Péter Kaszás (drums), Áron Koós Hutás (trumpet), and Attila Égerházi (guitar) – began in January, 2018. Christened Flow, and released on May 22, 2018, on CD. The vinyl version arrived end of August and DVD-Audio, containing the surround mix, followed in September. Flowis the first studio album of Djabe, renewed in 2016. 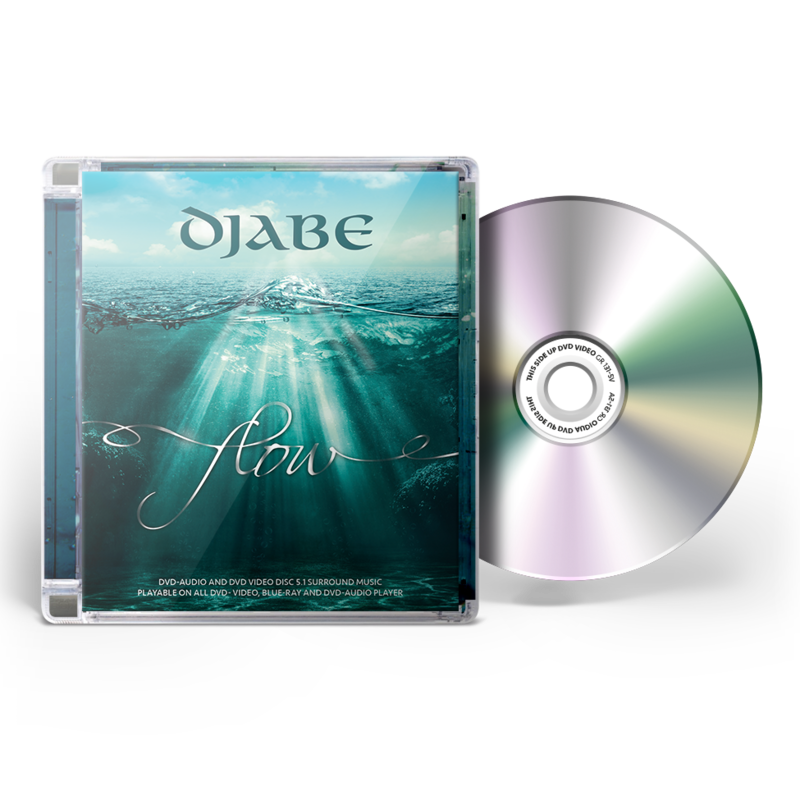 “Flow, the first studio album of Djabe renewed in 2016, hit the shelves in May, in CD format. The music was praised by fans and critics alike. The release kept all the characteristics unique to Djabe, but Tamás Barabás and the band once again leapt forward. New members not only bring outstanding musicianship, but built upon the musical world of Djabe. The rhythm section of Tamás Barabás (bass guitar) and Péter Kaszás (drums) literally re-invented the groove of the band. Peter’s skilled and distinctive vocal brings freshness to the world of Djabe. János Nagy once again proves that his reputation as one of the best Hungarian keyboardist is not for no reason. Áron Koós-Hutás, an old member returning after many years, became one of the most talented trumpet players of the Hungarian musical scene, and he is only at the beginning of his already ascending career. Most of the pieces were composed by Tamás Barabás, however, 3 of them are a joint effort with band leader Attila Égerházi (guitar). The culmination of Flow is pure Djabe, primarily thanks to musical parts written for specific musicians, by Tamás Barabás. These together provide the Djabe experience fans accustomed to. The second thing is the incorporated history, the old Djabe sounding, created by the joint pieces of Tamás and Attila.